To go with tomorrow night’s mid-season finale of Lethal Weapon, Fox has released a new trailer that mimic’s the original trailer for the 1987 Lethal Weapon movie that starred Mel Gibson and Danny Glover. 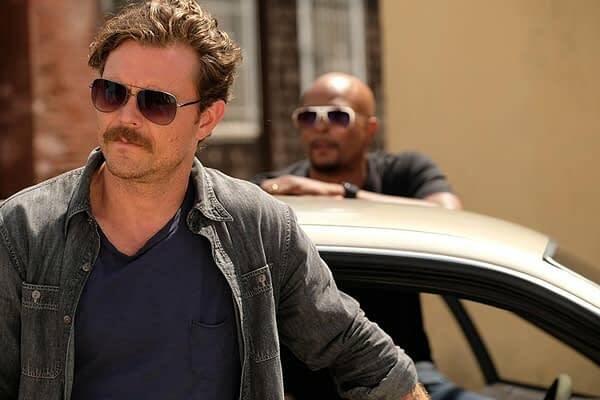 They used similar graphics to the original and cut in scenes from the television series with Clayne Crawford and Damon Wayans. The TV series is in it’s second season. It’s not often that a film is adapted well for television. This is one of the cases where it works and it’s because of the connection between the two lead characters. Crawford and Wayans aren’t trying to just be Gibson and Glover, they bring a similar dynamic but are still themselves and it works well. And remember, Lethal Weapon is like Die Hard… a Christmas movie. So this is the perfect time of year to mimic the trailer. Lethal Weapon airs Tuesdays at 8 PM on Fox.